Lupe Fuentes delivers a piece of tech-house with her new record ‘1,000 Watts’ out 4 December on her very own In The Loop. Currently, her last release ‘Radar’, is now climbing the Beatport Top 100 Tech House Chart at #64. ‘1,000 Watts’ starts in with a strong filtered kick, which leads into a deep growling bassline. Hi-hats and pronounced vocals make an appearance, and introduce a number of new elements to the track. Spacey pads fill out the break and introduce a delayed clap adding an energetic groove. 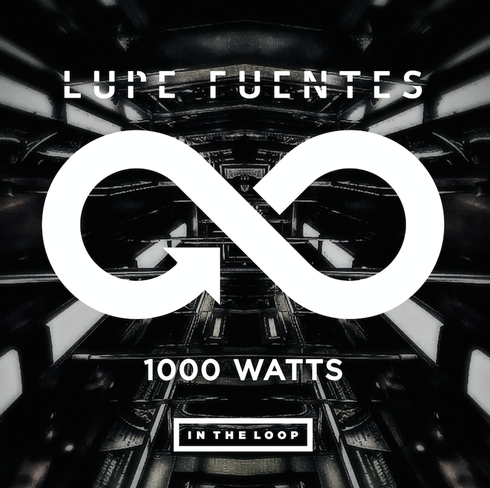 Lupe Fuentes: “1000 Watts is a mean and stomping tech house groover with a chopped up vocal that sounds like you should obey whatever the voice tells you to! I'lI bet you could never tell who the sample is from." Lupe Fuentes' support for fresh new talent is projected on her label In The Loop, which has gained supper from DJs such as Richie Hawtin, Dubfire, Roger Sanchez, Carl Craig, Jamie Jones, Dubfire, Prok and Fitch, Claptone, Kerri Chandler and Todd Terry.